National Bike to Work Day was in May, but we’re all familiar with Colorado’s crazy weather, especially during the spring. Because of the unpredictable weather here, Denver celebrates Bike to Work Day a little later: June 24th. With breakfast stations and even a few showering stations scattered throughout Denver (and all over Colorado! ), Bike to Work Day is a big deal and is getting bigger every year. Bike to Work Day is all about recognizing why biking, instead of driving, is good for everyone. Biking instead of driving is a great way to fight pollution and smog. Also, cars don’t just pollute the air; they produce toxins that can pollute the ground and water, too. Biking might also save you time on your morning commute. Traffic delays, public transportation delays, construction zones – these can all be a major stumbling block when you’re trying to get to work on time. If you’re on a bike, though, you bypass a lot of that by utilizing bike lanes or off-road trails. This might also give you a much more enjoyable commute. If you’ve got the time, you can take a scenic route and bike through local parks, which are certainly a lot nicer to look at than traffic cones and brake lights. Biking to work can help you stay healthier. 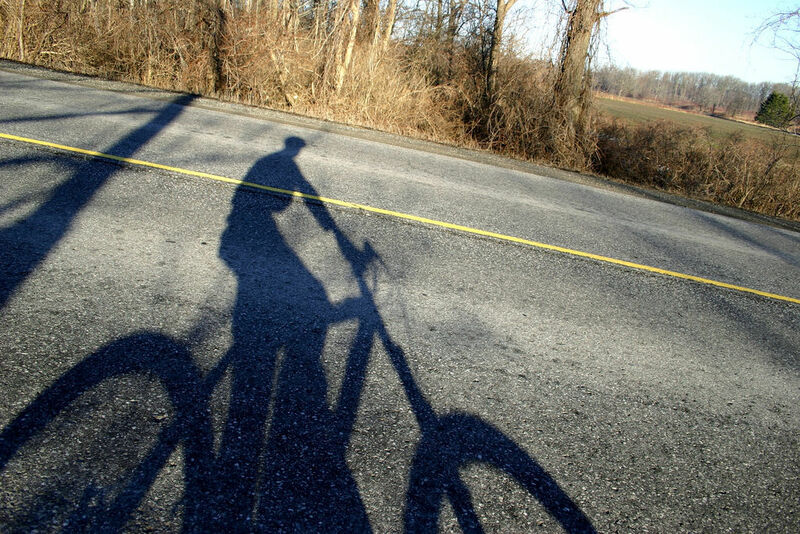 Biking can act as a form of stress-management, too. Stress is bad for you, but biking is often less stressful than driving to work, thanks to the lack of delays and scenic routes. Additionally, exercise (like biking) can counter the effects of stress. There’s also been a lot of research done on the specific benefits of biking as a form of exercise. Biking to work has been shown to help people lose weight. Cities with higher rates of biking or walking to work also have less people who are obese or diabetic. There are even correlations between city infrastructure that encourages “active travel” (like biking or walking) and the health of its citizens. Riding a bike might also be safer than driving a car. One study found that young males between the ages of 17 and 25 have five times the risk of accident per hour while driving, as compared to biking. In most other populations, riding a bike is still significantly safer than driving or, in some cases, even walking. You can also save a lot of money by biking to work. You might save a lot of money by favoring your bike instead of your car. Bikes cost a lot less up front, don’t need gas, and have much lower maintenance costs. Parking fees will also go down the more you ride your bike, as will the risk of expensive tickets. In addition, if you make biking to and from work your everyday exercise, you might not need to keep paying for a gym membership. The financial savings extend beyond your own pocket, though. Researchers considered the financial impact of cars and bicycles using a cost-benefit analysis. It was found that not only is driving a car six times as expensive as using a bike for the individual, but it’s six times as expensive for society, as well. If you’re going to miss Bike to Work Day on the 24th, you can still get in on the action. Denver-area Bike to Work Day participants who’ve registered are still eligible for prizes by biking to work on another day this week. If you didn’t register this year, that’s okay, too. All of June is Bike to Work Month, so you can still take part. Also, you can still bike to work whenever you want. Just be mindful of the increasing temperatures this summer. Make sure you’re in cool clothes, have sunblock on, and bring along plenty of water. Check the weather and, if it looks like it’ll be extra hot, drive or carpool instead. Biking to work safely requires a little bit of planning in advance. Wear reflective or brightly-colored clothes. If you have to pack your work clothes in a backpack or messenger bag while you ride, roll them up and put them in Ziploc bags to keep them clean. Follow all traffic signs, signals, and laws. Bicyclists must follow the same rules as drivers. Map your route in advance, but have a backup route in mind, too. You can plan your routes easily here or here. Also, if you have a smartphone, make sure you have a mapping app that can plan bike routes, just in case. Keep your tires at the correct pressure and check them about once a week. It may also be a good idea to have a small, portable tire pump tucked into your backpack or messenger bag when riding. Watch out for “tribulus terrestris,” also known as goathead or bullhead thorns, because they’re all over the place. If part of your route is near dirt, fields, or open lots, consider going to a bike shop and asking about products they offer to protect your tires from these thorns. Have a front light on your bike, plus a flashing red rear light. Bring along a heavy-duty bike lock, unless you’re planning to keep your bike in your office throughout the day. Make sure you can see and hear well. Invest in a good pair of sunglasses. If you like to listen to music while you ride, get a bike-mounted frame for your smartphone or mp3 player so you can ditch the earbuds completely. If you’re new to biking (or haven’t biked for years) and have a pain condition, use a little extra caution. Talk to your physician before starting any type of new exercise, including biking. If you’re buying a new bike, consider the types of trails or routes you’ll be riding on and choose a bike accordingly. A good bike shop should be able to help you with this. Start slow, with short, easy rides around your neighborhood. If you experience any pain during or after biking, ease off for a few days. If the pain persists or is severe, talk to your physician. If you think something about your posture or biking equipment is causing you pain, check out this great compilation of the types of pain often experienced while biking, their causes, and how to fix them. Did you participate in this year’s Bike to Work Day?